The Music Copyright Act: why can't we legally copy CDs yet? We were close. SO CLOSE. Right now, you could be sitting at home happily making backup copies of your favourite DVDS and ripping your extensive collection of Phil Collins CD singles without fear of recrimination. For a brief moment earlier this year it looked as though the UK Government was going to relax the law that prevents us from making personal copies or using songs and other media in parody or pastiche but then, at the last moment, they didn't. What happened, why did our lawmakers seemingly get cold feet and what does the future hold? The Copyright, Designs & Patent Act (1988) is the piece of legislation that covers, among other things, how copyright applies to music, film and books, what individuals and organisations are allowed to do with copyrighted material and just what copyright holders can prevent people from doing with the media they control. As that '1988' might imply, the act has lagged behind the changes brought about by digital media and the internet. Given how easy it is to copy digital media and how useful it is to be able to "format shift" from one form of media to another - such as ripping a CD to make an MP3 you can play on your phone - it's easy to argue that the law was too restrictive. On June 1 this year, a series of amendments were made to the Act that addressed some of these issues. It became legal to make copies of works in order to make them accessible to a person with a disability (such as automatically converting text to an audiobook). Media can now be "mined" by copying it into a computer system and searching it for the purposes of academic research and museums, and libraries now have greater freedom to copy in order to protect our shared cultural heritage. All good stuff, but not quite what was expected. The original amendments, suggested by the 2011 Hargreaves Review, contained provisions for personal copying that would for example allow us to take backups of our movies or rip them for play on a tablet. 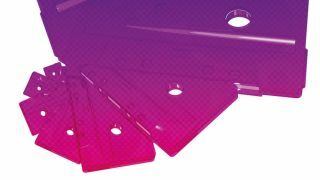 We could finally rip CDs with a clear conscience - formalising something even the government admits is commonplace - and as long as it was purely for personal use this would all be legal. Sadly, it didn't happen and it seems that is largely down to industry lobbying. When preparing changes to this kind of legislation, the government will usually invite interested parties to comment. The Intellectual Property Office (which is responsible for implementing Copyright law) has published a summary of the responses to the proposed changes. The music film and publishing industries have made it clear that they are unhappy with the proposals. "Delays are in large part due to lobby groups representing rights holders insisting on compensation," says Jim Killock of digital rights campaigners the Open Rights Group, "This could lead to an 'iPod tax' that would push up prices for consumers." The "iPod Tax" Killock refers to is something that several music industry groups have been pushing for ever since digital copying became practical: a levy on digital media that the industry says would compensate it for the loss of revenue that it claims is a result of widespread digital copying and format shifting. In the summary of responses, the lobbying group UK Music "supported a private copying exception, but only in conjunction with a levy." Similarly, the BPI said, "The consultation has not set out convincingly why, when it is accepted that harm accrues to rights holders from a private copying exception in virtually all other EU countries, no such harm would accrue from private copying in the UK." It is important to note that these responses were made back in 2011-12 to the Hargreaves Review while as recently as mid-May an Intellectual Property Office spokesperson told me, "Copyright law is being changed to allow you to make personal copies of media you have bought for private purposes such as format shifting or backup." Clearly, there has been some intense lobbying in the run-up to June that has caused the Government to rethink. It does however appear that change may still be coming. In its announcement of the changes that did pass in June, the IPO said,"The government is also committed to introducing exceptions for private copying and parody and quotation once they have been approved by Parliament." A spokesperson for the IPO confirmed by email that, "The Government will relay the remaining... [changes] ...at the start of the new parliamentary session and aims for the regulations to come into force on the October common commencement date." There is still room for aggressive lobbying by all sides, of course. "Although personal copying and exemptions for parody have been delayed, we're hopeful that the government is keeping to their promise to deliver these new consumer and creator rights." says ORG's Jim Killock. "After nine years and two separate reviews, the Government must stand up to these groups and make our copyright laws fit for purpose in the digital age."